Planning and goals and deadlines. That has been my week this week. If things go according to plan, this will be our last full week at home before we start our school year with the kids so I’m trying to squeeze in everything. Cleaning, gardening, spinning, knitting — it is ALL on the list. As I work on mentally shifting out of the relaxed summer schedule to our more regimented school one, I have lists upon lists of things I want to wrap up and goals I’m trying to hit before my days become math & history lessons, reading & writing 5 paragraph essays. I’ve made some very good progress. We got our last shipment of school books and I managed to get them all organized so we are all set to begin the new year. My landscaping project is slowly, but surely being mulched with grass clippings from our wonderful neighbors and the weeding continues to be minimal and all the plants are looking great. I finally got around to washing our picture window so I’m not looking through a heavy coat of dirt while I spin. The floors got some deep cleaning and I’ve been keeping up (better than usual) with the laundry. In short, the housework — inside and out — is in a good place. 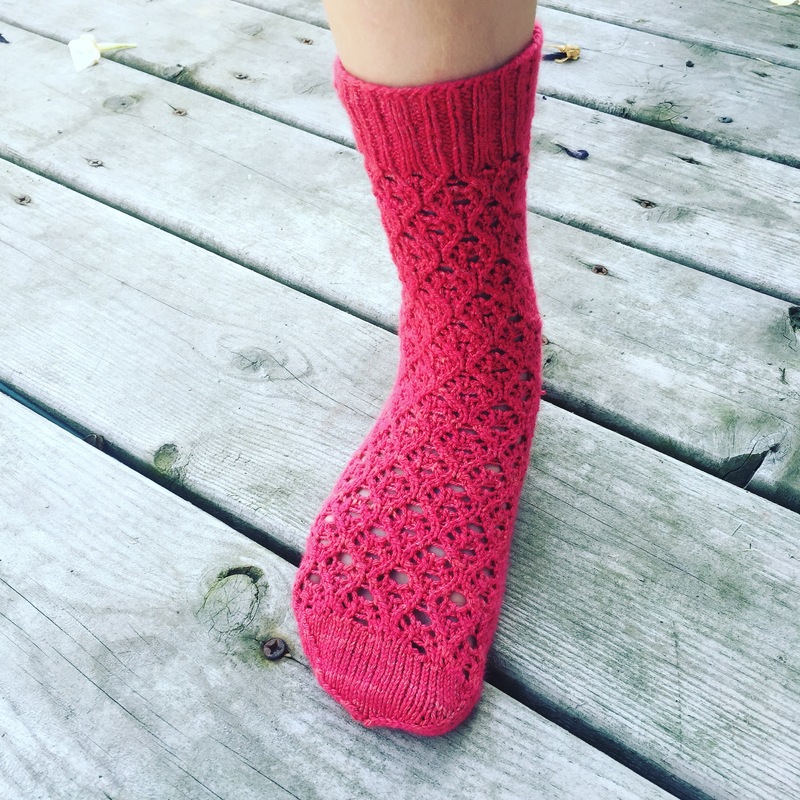 In my craft, I finished my July installment of the Summer Sock Club from Feel Good Yarn Co. This is just a quick snapshot of the first sock, but the pair is done and awaiting some FO photos. Look for a complete wrap-up next week. From the socks, I shifted my knitting to a special test knit. I can’t show you the design just yet, but I can say it’s in Bijou Basin Ranch’s Lhasa Wilderness. It’s my first time using this yarn and it is seriously incredible. Not only is the yarn absolutely scrumptious, the shade of blue is perfection in my book. It’s such a treat this project is just flying off my needles. I can’t wait to show you more! On the spinning front, you saw this project yesterday, but I thought I’d take an updated picture. You can see my less than graceful first attempt at creating rolags. They are HUGE, but they’re spinning fine. I’m at the point where I’m debating a switch to a fresh spindle or shaft as it’s getting pretty heavy. I know I could remove the BBs from the spindle to lighten it, but as I have extra spindles and shafts I’d much rather go that route. I’m going to hang in there a bit longer though, as I’d really like to try to fit this rolag on there. We’re see how she spins. Have I shared this photo here? It was one I took for Instagram, but I just love it. 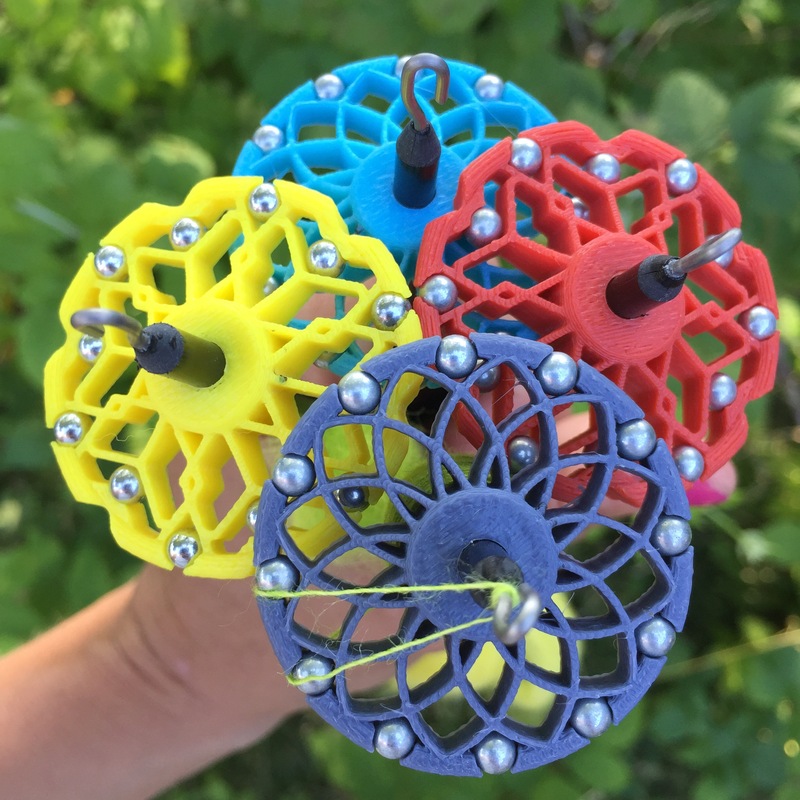 Honestly, it reminds me of a pretty little bouquet and I have dreams of people giving their spinning friends & loved ones a bouquet like this for birthdays and holidays in lieu of flowers. 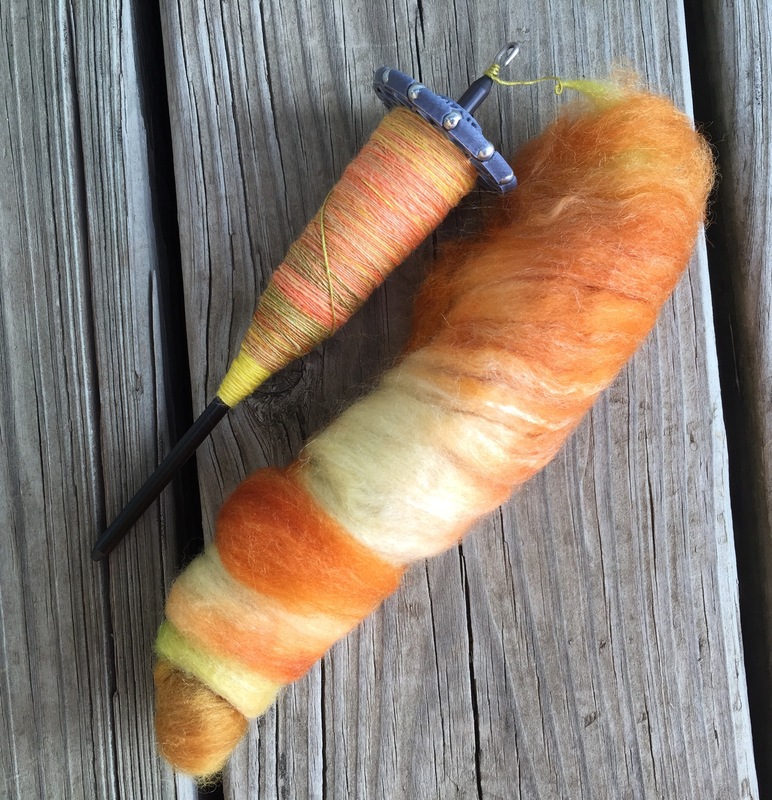 I also finished spinning my August Top of the Month Club fiber from Three Waters Farm. This is Red Hot & Blue — it’s on Polwarth/Silk 85/15 and I spun it with the intention of having some wonderful barberpoling. 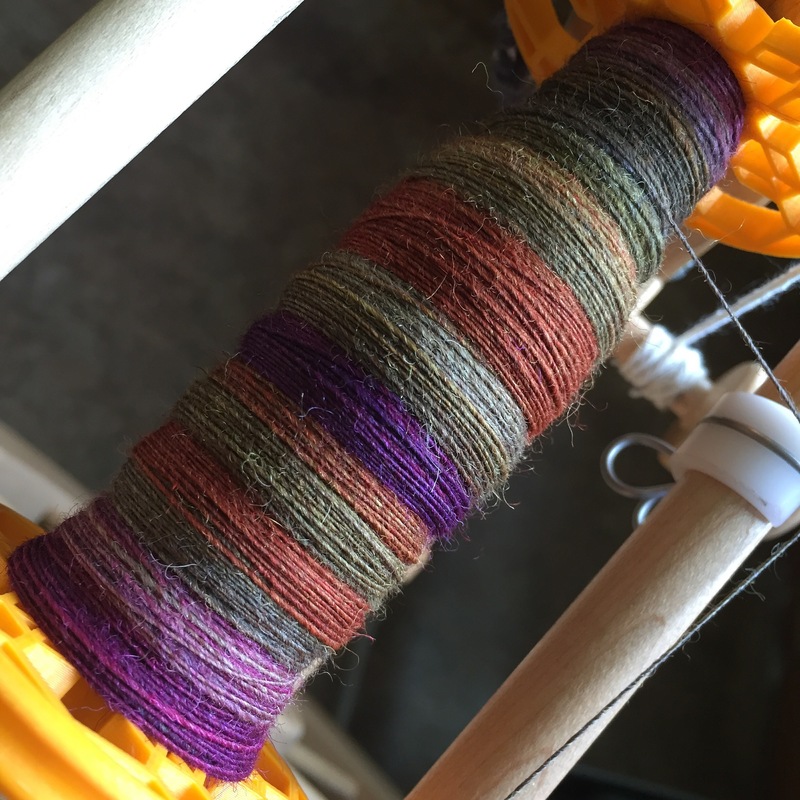 I had so much fun with my worsted barberpoling skeins during the Tour de Fleece I decided to spin this one up the same way. It’s a little less organized as I quite literally was spinning it within an hour of receiving it and didn’t overthink the prep. 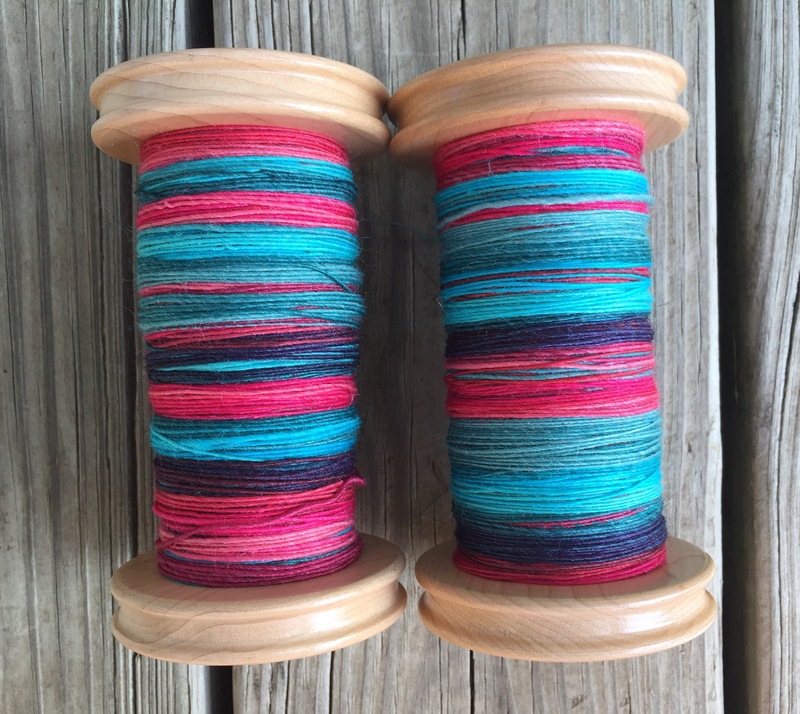 It’s been one of my favorite Three Waters Farm spins to date, so I can’t wait to see it plied. While that spin rested, I start in on Dyeabolical‘s 66 Sunset on Fawn Shetland. It’s one of the shop’s new colorways this summer and I just love the earthy tones in this one. I’ve not gotten as far as I was hoping on this one because I really dove into knitting at the start of this week, but I’m enjoying every moment I steal for it. And there you have it — my attempts to squeeze about a month’s worth of work into a single week. Even though I went into the week knowing my goals were unreasonable, the planning and goals and deadlines have carried me through. I have to say that I cannot complain with returns. 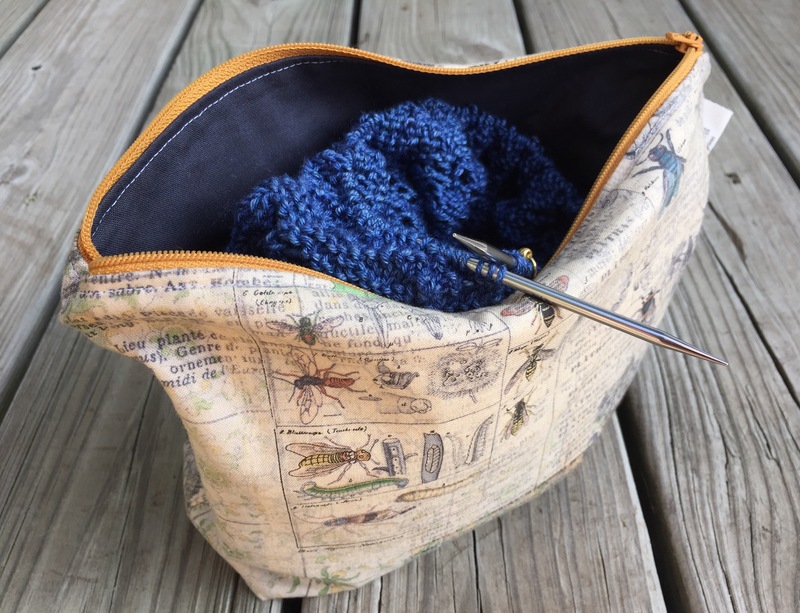 And I think I mentioned on Ravelry that you do a superhuman amount of work, this post simply proves my theory. But I know you love (almost ) all of it, it shows in how you write about your life. Seriously? You are teasing us with that blue test knit? it looks gorgeous from here! I’d share more about the test if I could!!! I, too, am impressed by the sheer amount that you are getting done! It all looks lovely–and good luck with the school year!